One thing that is clear about the Indian voter is that she has learnt to reject, and has very little to choose from. Most often, her vote is against someone than a positive vote for someone. Even in the just-concluded Assembly elections, the electorate was dissatisfied with the BJP rather than enamoured with the Congress. Even as we criticise the BJP, let us face that the problems are structural and every government across the board is facing them: A deep agrarian crisis, and pervasive joblessness in urban areas. No political party has a solution, or is even attempting to raise and discuss the issues in a sustained manner to find long-term solutions. It is either employment doles for the urban poor and unemployed youth, or loan waivers for the rural ones. There is no other policy frame being debated with any seriousness. Even a new state like Telangana, which began with a surplus budget, is only chasing corporate growth, which generates far fewer jobs than needed. Agrarian distress is abated but not solved, and Telangana, in spite of the welfare schemes, continues to be third in the order of farmer’s suicides in India. It is only a matter of time before the state ends up in a fiscal deficit and joins other states in the deepening economic crisis. In this context, changing the government has also been reduced to a cynical strategy of bargaining for a little more than what the current regime delivers. The range is depleting by the day, leading to a social crisis that is waiting to burst asunder in unknown ways. The modest expansion of the economy during the Congress-led UPA regime manufactured a new aspirational voter that dreamt of a change and quick inter-generational mobility. It is the reasonable well-doing of the economy under the Congress that was also its undoing. Higher expectations of the aspirational mood were captured by the imageries of Modi’s ‘Gujarat model’. The aspirational mood was successfully entangled with brand Modi’s Hindutva that stood for aggressive assertion, anti-elitism and pride in one’s own history and identity. The fact that Modi came from an industrialised state allowed him to combine reasonable growth with aggressive Hindutva that lasted for three terms, and which eventually began to nosedive but just stopped short of sinking in this year’s assembly elections in Gujarat. However, Modi’s own success in Gujarat was more in the cultural domain of polarising than on the economic front. In fact, the state did far worse on the human development index under him. But being an industrialised state, it kept the economy moving. In the last four years, Modi replicated what he had done in Gujarat: big talk on the economic front and active pursuit of Hindutva politics on the ground. Had the economy done better, Modi’s ‘Gujarat model’ of politics could have succeeded at the national level. Modi today is struggling to be the symbol of the aspirational electorate that he began with in 2014. His larger-than-life media images no longer carry the same emotions as they once did. But if we go by his recent campaign in Rae Bareli, he has not made any amendments to his style and he is unlikely to do so. Why is it so? Congress victory a boon for brand Modi? It is possible that Modi is aware that though his party has taken a beating in the recent assembly elections, the electorate does not have a clear alternative. Congress, in the states it won, will face the same crisis that BJP governments are facing. Electorates would be dissatisfied and the victory of the Congress could well be a boon in disguise for brand Modi. The crisis, in fact, began with Kamal Nath’s innuendos against the migrants in Madhya Pradesh. Elections in 2019 are going to be fought in a completely different mood from that of 2014. The phase from 2004-14 was one of expansion of economy under neo-liberal reforms. That phase seems to be over. Governments across the board are failing to meet the minimum expectations. What do the electorates have to choose from in 2019? While brand Modi played on the optimism of aspirations in 2014, what it is banking on now is the cynicism of desperation. The question is: how will the electorate behave in times of desperation? In generic social crisis engulfing cumulatively, will the electorate feel it is more important to punish Modi for what he failed to deliver or will it come to the conclusion he is the best amongst the worst? The results in recent assembly polls may not be a clear signal for the general elections in 2019. Modi has nothing new to offer, but the opposition doesn’t either. The electorate will struggle between the anger of broken promises and the chaos of the opposition. 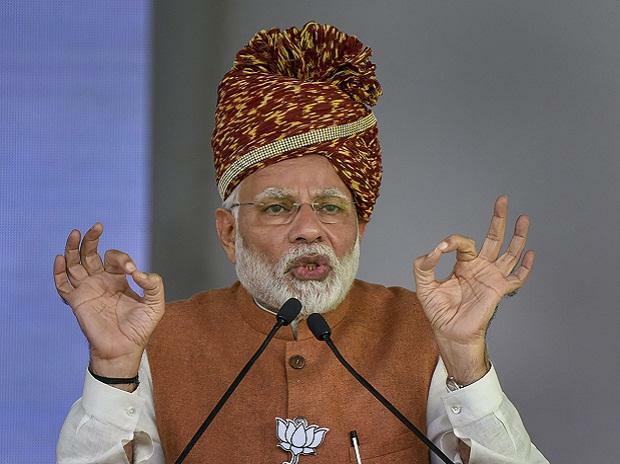 Modi’s personal popularity, as many recent poll surveys have shown, continues to be high, in spite of his party failing to win in the recent assembly polls. Will the electorate fall for the new dreams Modi is selling, even with a deep sense of skepticism, or will they decisively decide to punish him, even if they have no great hopes from the opposition? Either way, it will be a vote in desperation and Modi seems to be banking on scraping through, and banking on reaping the benefits and dividends of cynicism, even if it does not mean reposing faith in himself. Ajay Gudavarthy is an Associate Professor at the Centre for Policy Studies, JNU. He recently published India after Modi: Populism and the Right (Bloomsbury, 2018).